These principles have created the infrastructure that we all use and rely on everyday to deliver the electricity for our needs. The electricity demand has been growing steadily in almost every market in the world and therefore investments have been easy to make. The market has been done with a long-term view and returns on the capital outlays have been steady. Essentially the consumers are taking a larger role in managing the decisions that affect their energy cost, usage, environmental impact and comfort levels. The decisions made by a single individual are small in scale, but decisions by large groups of people will have a significant impact on the “big picture” as well. 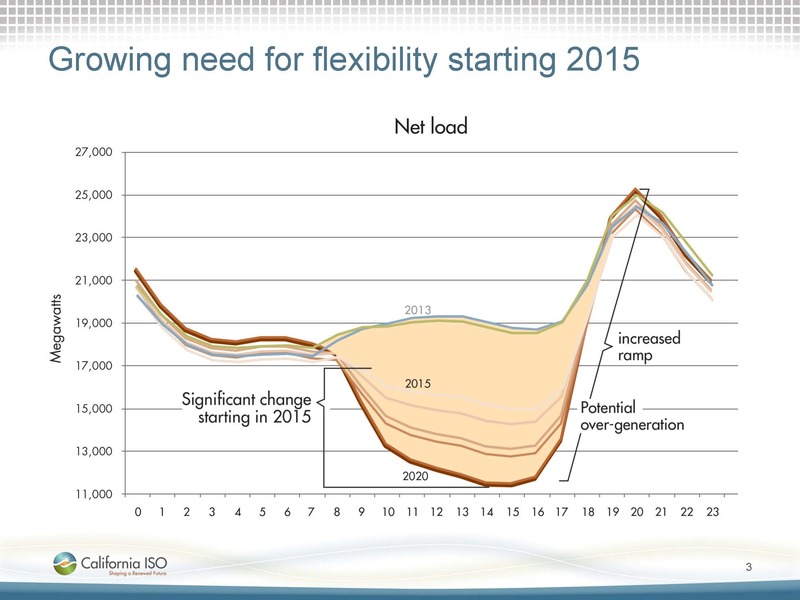 Well documented examples of this are for example negative wholesale energy prices in some European markets due to wind and solar production, significant reductions in energy consumption during daylight hours in markets like California, Hawaii or Australia (as illustrated below by the so called “Duck Chart” courtesy of the California Inter-System Operator) and the closing of generation capacity in Europe due to low usage. In the developing countries like China and India the demand is growing sharply, but the environmental impacts of the coal-fired plants are creating serious health issues for the population in general. Therefore increased renewable generation, demand curbing, greater efficiency and the reduction of energy losses in the system are the key issues to tackle in the future. The regulatory policies created to manage these changes vary from country to country. In some cases legislation has been passed to support the uptake of new generation technologies (feed tariffs for solar and wind power) while in some cases similar schemes have been applied to nuclear generation in countries like the United Kingdom to ensure the availability of sufficient generation capacity in the future. The policymakers are also trying to make sense of the market changes and how to balance the impact of the various forces at play. It does seem that the price of the local generation and storage will continue to decline and therefore an increasing amount of consumers will start migrating to producing at least a part of the energy they consume. This will further exacerbate the challenges associated with the declining demand of energy from the grid and making the management of the generation capacity even more challenging. The further decline of the price decline in storage will lead to cases where people go “off-grid” and no longer have a grid connection. In the most radical scenarios in Australia this figure is put at almost a third of the population leaving the grid by 2050.